Click here to visit their tab and like them. 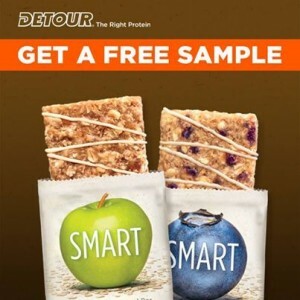 Then on the tab, fill out the form to request a free sample of Detour protein bars. ==> P.s don’t forget, you can signup to get a text message as soon as we post a freebie.